A rich wine with a deep red colour and terracotta tints. The sweet aromas of dried fruit, dominated by tomato and fig, blend with the aromas of ageing, like cinnamon, vanilla, wood and spices. 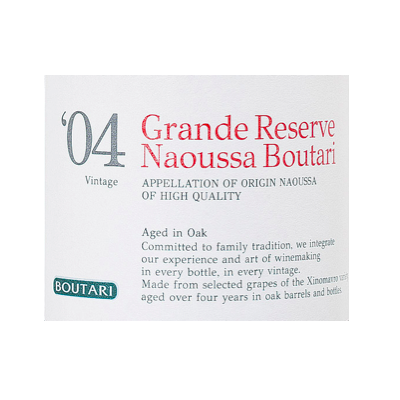 A potent wine, produced by the great indigenous variety of Xinomavro is giving a body characterized by an abundance of mature tannins, a result of the long ageing process. Lasting aftertaste. Multiple internationa awards and great reviews from Robert Parker more than 90/100.